As an Everest Collegiate graduate, you are well aware of the foundation that was built during your years as a Mountaineer and its contribution to your future. You have been given the gift of knowing how to utilize your strengths to fulfill the unique plan that God has for you. The Alumni page is your place to find out what is happening at Everest Collegiate, get updates on your classmates, share your stories, and reconnect with the Everest community. Please let us know what is new with you. The Everest Collegiate Alumni Association (ECAA) is a volunteer organization made up of past Everest graduates looking to stay in touch and contribute to their alma mater’s future success. ECAA President, Patrick Nalepa and designated class representatives work together to encourage and support the Everest community beyond their time as students. 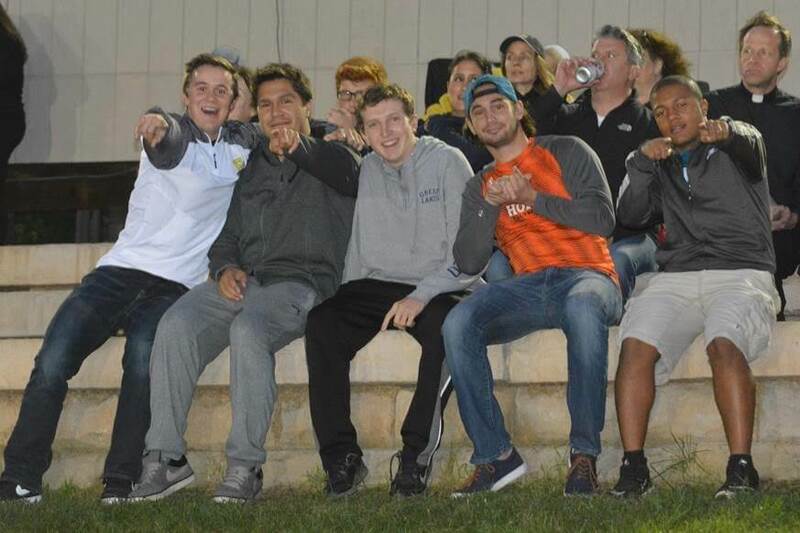 Everest Alumni supporting the Everest Varsity Football Team as Everest Collegiate defeated Riverview Gabriel Richard 40 – 7. Alumni Adam Legg, Elliot Fenske, Jimmy Thibodeau, Lucas Neme and Isaiah Hellner.